Cherokee Girls Occasion White Multi-Color Floral Sleeveless Dress Size 5. 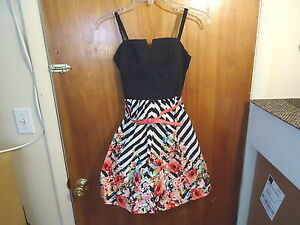 Bonnie Jean Girls Occasion Black Multi-Color Floral Sleeveless Dress Size 6. Details about Girls B.Darlin Size 5/6 Sleeveless Multi-Color Floral Dress " BEAUTIFUL DRESS "